"You're only supposed to blow the bloody doors off!". 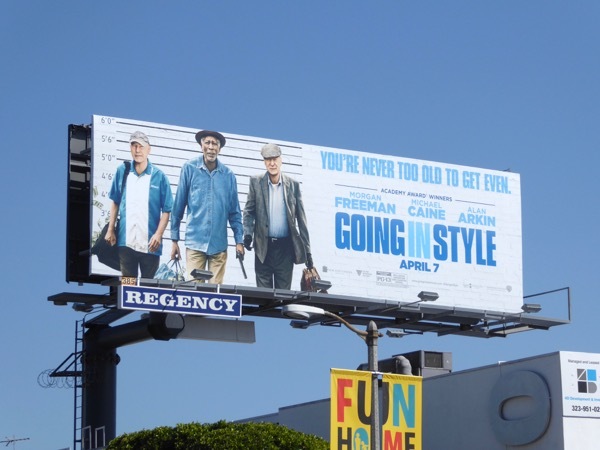 That's Michael Caine's famous line from the 1969 classic crime caper, The Italian Job, and by the looks of his new movie, Going in Style, he's up to his usual tricks again with a few accomplices in tow. 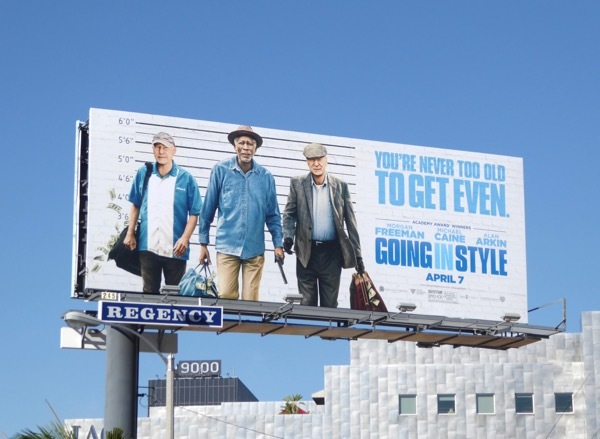 Alan Arkin and Morgan Freeman are his senior partners in crime as these three lifelong pals embark upon a mission to rob the bank they feel has cheated them and left them in their current dire circumstances, to help cover the bills and take care of their loved ones in this remake of the 1979 flick of the same name. 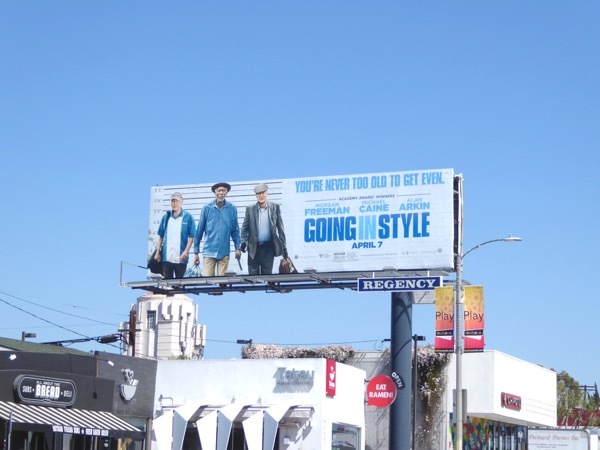 This movie billboards were snapped along the Sunset Strip, Melrose Avenue and Beverly Boulevard on March 14 and March 15, 2017. 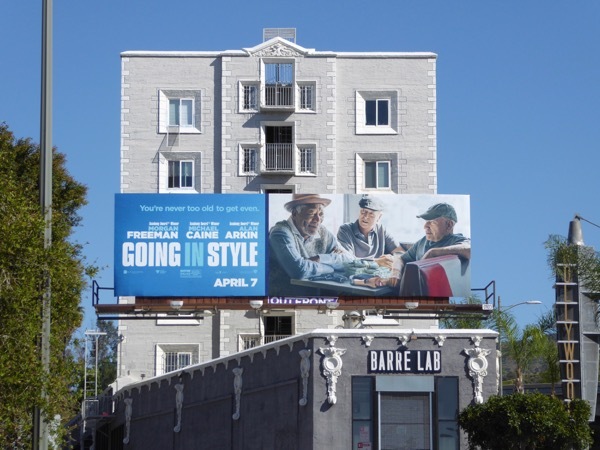 Plus for another ad creative channeling this police lineup theme, make sure you also check out this Hot in Cleveland billboard with Betty White. 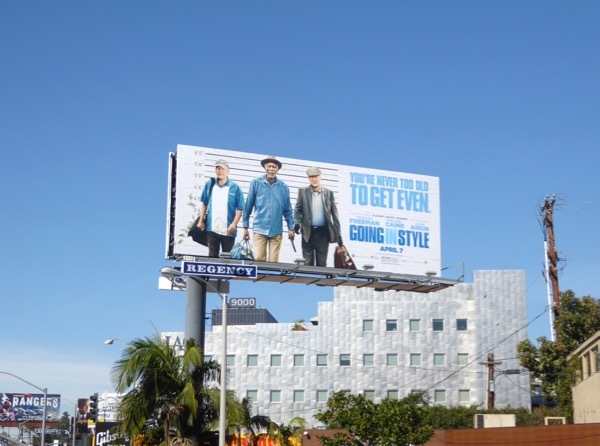 This trio of older actors also bring to mind these Last Vegas movie billboards featuring Morgan Freeman, Michael Douglas, Robert De Niro and Kevin Kline. 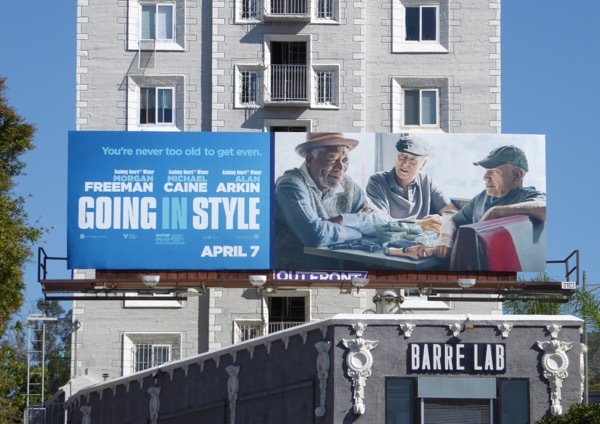 Plus if you're a fan of Morgan Freeman, be sure to also check out these Oblivion movie billboards, these Now You See Me film franchise billboards and these London Has Fallen movie billboards. Let's hope that none of these fine actors will be going in style anytime soon, as they've obviously still got so much more to give. 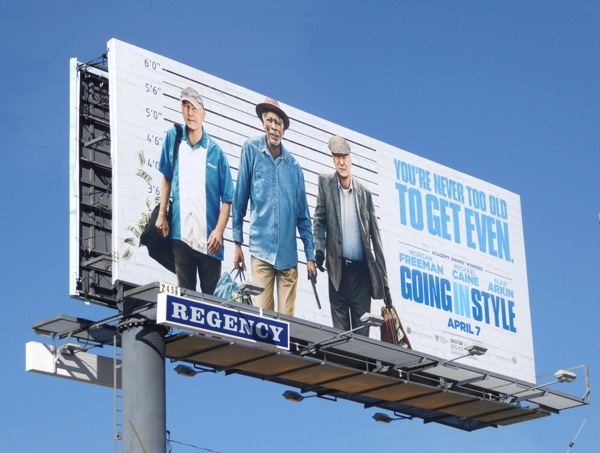 UPDATED: Here's also a different ad creative for the movie with the three veteran actors up to no good. 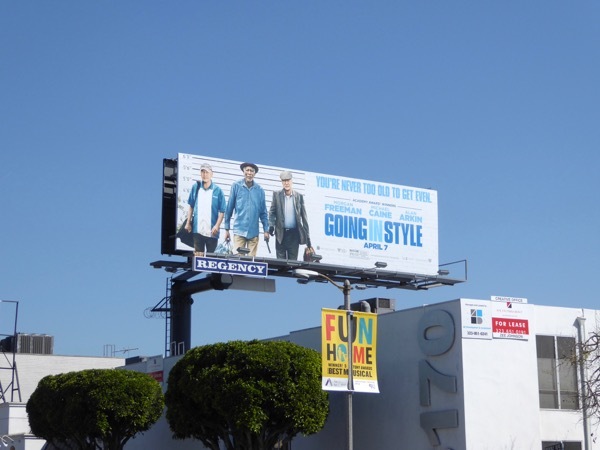 This billboard was spied along Cahuenga Boulevard in Hollywood on March 23, 2016.